Japanese Shiatsu massage is a form of Acupressure that I have practiced since 1998. I have specialised in Shiatsu while living and practising with two Masters in Antwerp, Belgium since 2005. It is sometimes referred to as Acupressure massage. The word Acupressure indicates the use of similar Sen Meridian pressure points in common with Acupuncture. Unlike Acupuncture, Shiatsu does not use needles, but instead applies thumb or body pressure along specific Meridian lines. Traditionally, no oil is applied in shiatsu japanese massage, the client remains fully clothed (in light cotton clothing) and it is performed at ground level – rarely on a massage table. Bursitis, Fibromyalgia, Hip Pain, Sports Injury & Workplace injuries and more! Shiatsu massage and Acupressure are accepted by Health Shield - please see their TCs. There is a large body of clinical evidence to support the use of Shiatsu massage for many and varied ailments and muscular problems. These range from Fibromyalgia, RSI and Angina to easing Chemotherapy side effects and inducing labour. Strong clinical evidence for Shiatsu was for pain relief (particularly dysmenorrhoea, lower back pain and labour pain), post-operative nausea and vomiting. Good clinical evidence found that Shiatsu improves sleep in institutionalised elderly and those suffering from insomnia, renal disease symptoms, dementia, stress, anxiety and respiratory conditions. Clinical trials suggest that 1 month of acupressure treatment is more effective in reducing chronic headache than 1 month of muscle relaxant treatment, and that the effect remains 6 months after treatment. Shiatsu massage is really unlike any other in giving a sense of harmony and true balance. As Shiatsu methodically channels your Meridian energy and alleviates any blockages, you can expect to walk away from the massage treatment feeling ‘in tune with the world’. Shiatsu achieves this by stimulating any blocked and stagnant energy and transforming it into a boost of positive rejuvenation. Shiatsu Acupressure massage is especially recommended for the warm summer days, as this oil-free routine actually promotes a sense of refreshing harmony. Shiatsu Magic! I'm a natural therapist myself. But I had no idea that one session could fix so much. Maximum effect. Minimal discomfort. Philip is a true miracle worker. I left feeling good and as the day went on it kept getting better and better. And not just my back. My spirits are lifted and I am more energised. I've had more holistic therapies than I can remember. But nothing has come close to this one. I have had more holistic treatments than I can count. But this Philips shiatsu treatment blew my mind away. I went in with a terrible back thinking it would take several treatments to just be able to get to the point I am at less than 24 hours after one shiatsu treatment with Philip. Highly therapeutic. I really didn't know what to expect. I had severe stiffness in my legs & lower back & thought a sports massage may help resolve things. Thankfully, Philip takes time to discuss what your needs are through detailed discussions during which he also makes recommendations about diet, lifestyle & general wellbeing. We settled on a session of Shiatsu after which he warned that I would still feel stiffness & discomfort but that was just part of the rebalancing process. The follow up was a further Shiatsu session a week later. I now sleep better, have little trace of my former stiff & sore joints &, it just so happens, have just had the best blood pressure reading in a decade. An enlightening experience. I found Philip, (city marshall) while on the internet looking for somewhere I could get some relief for back pain, that I have had for quite a long time. I have several illnesses one being Multiple Sclerosis, which is the worry of my life, so I contacted Philip and made an appointment. It was the best decision I have made in such a long time. After the first session of shiatsu, my back felt so much better and to my astonishment I was now walking in a straight line. Before this, I was very unbalanced and would keep bumping into people while out. I am now on my third visit and things have improved greatly for my total health. Philip seems to love what he does and puts so much of his energy into each massage it makes you feel replenished. He has provided me with so much information dietary wise and is a very knowledgeable man. After years of popping pills, Philip has shown me that there are other natural ways of helping yourself and I can honestly say I feel so much better for taking his advice. I would recommend everyone to visit him at least once in their lifetime, he is a total gentleman who is brilliant at what he does!! Highly recommend that you seek out Marshall even if you only have a short stay in Cardiff. The way he read my body and informed me of all my bad habits and past injuries were amazing. Without a single word from me, he was able to pick up on a bad car crash 10 years ago, carpal tunnel syndrome and problems with my lymphatic glands. I was only expecting a 'pamper' and relaxing massage - but Marshall was able in one short session to give me such an amazing insight and so many wonderful tips about posture and nutrition - that I have actually returned back twice already (from Birmingham!) and also referred two close friends. Be sure to ask for Philip by name. He has 18 years of expertise especially in Shiatsu and Acupuncture. Philip is so fantastic that I see him regularly and have done so for about two years now. Philip's knowledge is way beyond massage, muscles and tightness; he always has a piece of advice for you that is very valuable. Never in a rush, Philip gives you all the time you need, assures that you receive the treatment that most suits your body and condition and makes you feel like the centre of attention. I first discovered Phil about six months ago and it was my first experience of Shiatsu, which I loved, and I now book a session every two months. After a full session, I walk taller and straighter and shoulder and back aches just disappear. I would recommend Phil to anyone who has some specific pains that they need to have eased or if they just want to try a very different kind of pampering. Look no further. After intensive radio and chemotherapy for throat cancer my body was in a mess with various aches, pains, stresses and restricted movement. I was having complementary therapy via the NHS - reki and refelxology - but unfortunately this wasn't hitting the spot. After much research I chose City Marshall from the reviews online and boy I'm glad I did. After 4 sessions now I feel so much freer in movement, its easier to relax and much of the tension has gone. In my last session Phillip managed to combine hot stones, aromatherapy, deep tissue massage, hopi candles and shiatsu and I can honestly say I never felt so relaxed and had the best sleep I can remember. I'll be returning on a regular basis and cannot recommend Phillip's intuition, professionalism and services high enough. "Beyond expectations. After seeing a variety of positive reviews I decided to book a consultation - I had been enduring poor sleep, suffering stress from bereavement and very low energy levels. I'm not sure what my expectations were, but was so pleased to see an improvement after the initial visit. Phillip certainly seems to take an interest in your personal situation and finds a balance in listening to your needs but also guiding you with his obvious expertise. I look forward to each visit as I know it'll not only be a wonderful hour of relaxation but the benefits will last much longer than any massage I've had before. 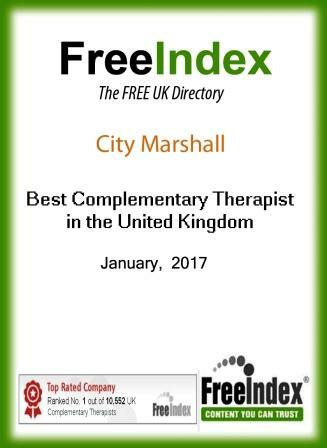 Have already recommended him to a number of friends and family"
"I attended City Marshall for a course of Chakra healing and Shiatsu massage. The whole experience was wonderful. This has to be the best therapeutic practice in the whole of Wales. Philip is the consummate professional and he certainly has some extraordinary gifts. I can wholeheartedly recommend this practice. Many thanks Philip." "The Shiatsu massage was great for releasing muscular tension and [it] left me feeling very grounded, relaxed and very balanced. I would definitely recommend shiatsu for either pampering or muscular tension." "I have attended appointments with City Marshall on previous occasions. I usually leave it too long, arriving in considerable pain in my shoulders, neck and back. My work in the NHS is stressful and I'm generally far from relaxed. After a consultation combining Shiatsu massage with other types of treatment, I feel massively better. Only recently I've had 2 consultations and I am able to move and work much more freely. The NHS discount is generous and the therapist is also generous with his time. DO YOURSELF A KINDNESS and book a session." 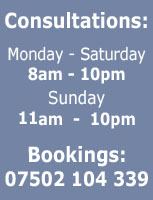 "I highly recommend Philip Marshall for any muscular treatment. Philip is a very friendly and knowledgeable therapist. I had shiatsu and back massage sessions which released muscular tension and promoted a more relaxed mind and body. I recommend anyone with ongoing aches and pains to have a consultation with Philip to see how he can help you best, he can tailor the session to incorporate different therapies as part of one session to give you the optimum treatment." 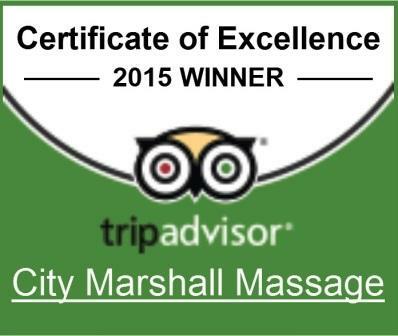 "My experience with City Marshall was phenomenal. When I first started out I had upper and mid-section back pain. After only a few sessions I started seeing positive changes. In addition to the Shiatsu massage I went for, there was a good mix of Thai and yoga stretches during each session which made a world of difference. Overall I had a great experience here and will continue with them"! I suffer from constant daily back and hip pain due to osteoarthritis. Philip is an exceptional Shiatsu therapist. I visited him for lower back pain and sore muscles. He pin-pointed the problem and has eased the pain. I will continue to visit him regularly and I have already recommended him to family and friends. He provided a friendly and professional atmosphere and gave additional tips such as exercises and other treatments to ease the pain and tension. Go there and be prepared to learn and be open minded. The Shiatsu is certainly highly therapeutic and if you are relaxed enough to have a massage without oil - this is surely what you should look into. I experienced the shiatsu acupressure dry massage, it was an excellent unrushed service catered 2 your own personal needs. Phil offered loads of good advice and is a Master of his craft. Don’t bother going anywhere else! Combined Shiatsu with TuiNa massage to a wonderful effect. This produced the great calm and peace of mind. The 90 minute Shiatsu massage really flew by. A wonderful experience which I highly recommend. I enjoyed my Shiatsu teratment very much. I had asked you to help with my lack of stamina, I have had so much more energy since the Shiatsu massage, but also immediately after the treatment I had a sense of harmony and balance and a great feeling of wellbeing. The whole experience was relaxing and yet energising. I will definitely be back for more! ... 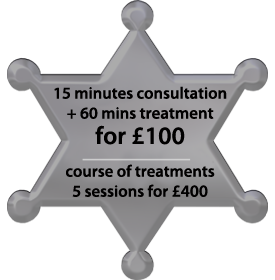 The Shiatsu treatment was amazing and I felt the benefits for days afterwards [...] I felt so much better afterwards. I would recommend Phillip's Shiatsu to anyone. … my first experience of a non-oil massage and I really found [Shiatsu] especially relaxing. 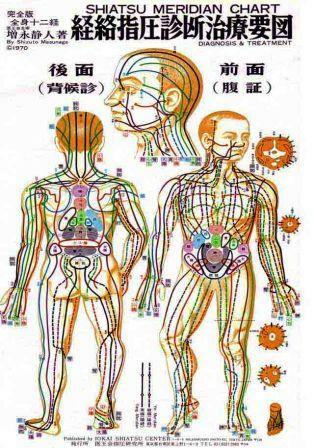 Who can benefit from Shiatsu Acupressure Massage? Why is this different to a Swedish massage? A Swedish massage is generally more energetic, with less attention paid to the actual flow of your Meridian energy lines. A Shiatsu Massage treatment is especially good for those who would like to achieve a sense of harmonious balance and well-being. As Shiatsu massage does not use oil, you will be able to walk away feeling revitalised, happy and ready to face the world with a newly found sense of balance. Is this different to a Thai massage? As Thai massage also uses many yoga stretches, it is generally more energising, stimulating and more ‘sporty’. Shiatsu is by and large more soothing, with much more detailed attention paid to the actual flow of your Meridian energy lines, allowing a feeling of inner peace and quiet harmony. CLOTHING: you may wear a regular T-shirt and sports-shorts or very thin trousers - please remove any metalic jewelry, keys, coins and belts - prior to the start of the Shiatsu massage treatment session.